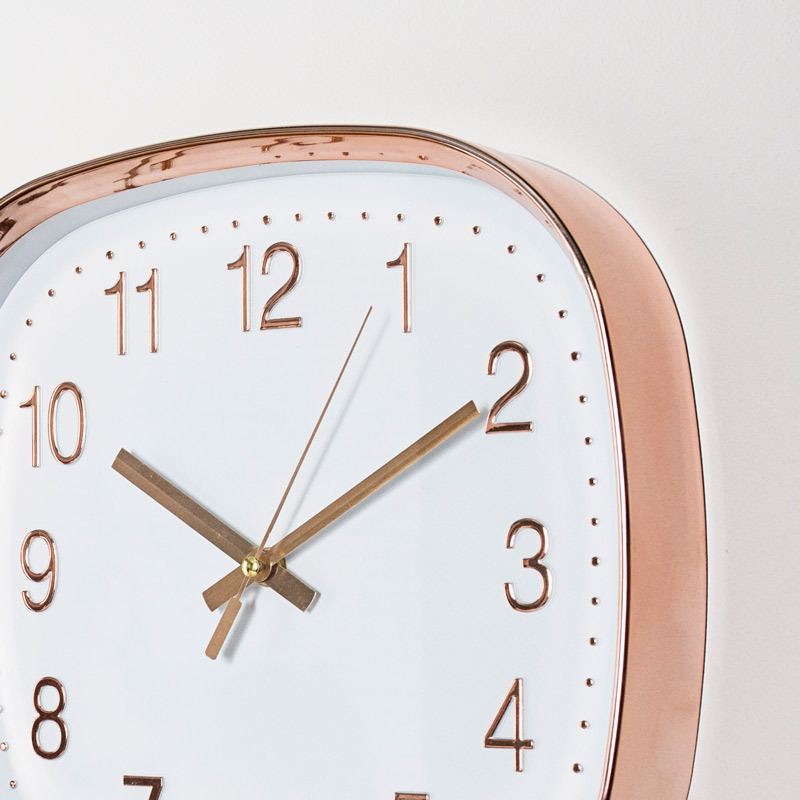 This is a stylish wall clock with an eyecatching copper design. Square shaped with large copper embossed numbers against a white clock face. Add a modern, retro feel to your home decor with this stunning clock. High shine polished copper frame that will stand out and add some colour to your room. Adding a combination of functionality with a stylish look. Perfect for hanging in the living room or hallway. 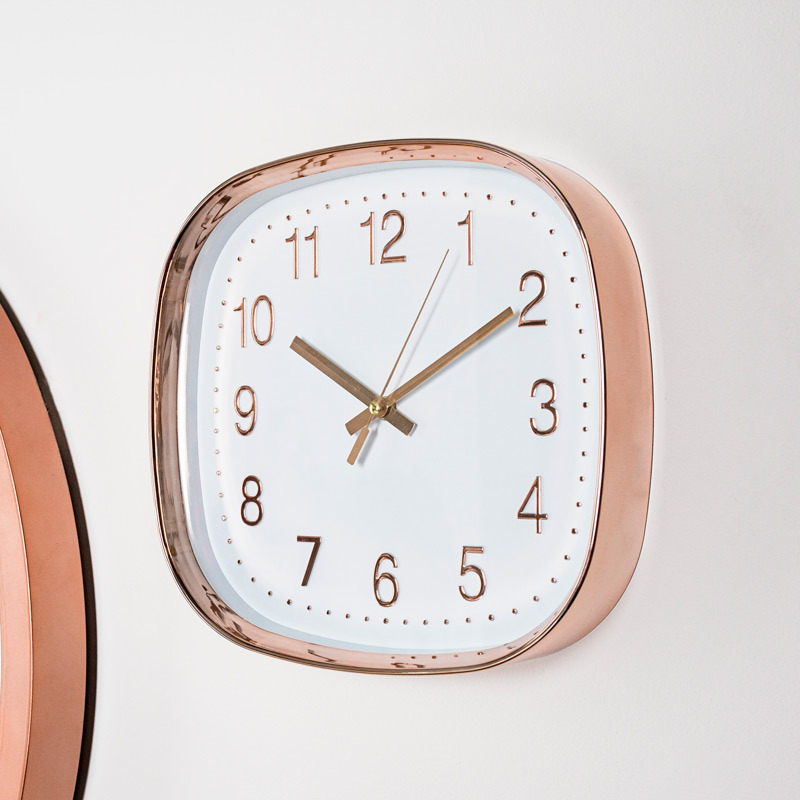 This is a stylish wall clock with an eyecatching copper design. Square shaped with large copper embossed numbers against a white clock face. Add a modern, retro feel to your home decor with this stunning clock. High shine polished copper frame that will stand out and add some colour to your room. Adding a combination of functionality with a stylish look. Perfect for hanging in the living room or hallway. Plastic frame in a polished copper for a high shine finish. Lightweight design and easily wall mounted with a hole on the back for hanging on a hook. Takes x1 AA battery (not included).